Middletown Springs, Vermont was made famous for its “curative” mineral springs. Noted paleontologist, Walter W. Granger (1872-1941) was born here. 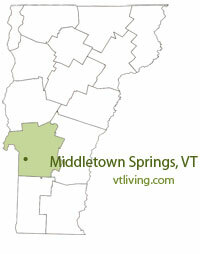 To share any Middletown Springs, VT information, contact us. Learn more about advertising in VTLiving.